Perfect for presenting, protecting and handling drawing for architects, engineers, artist, contractors or anyone handling drawings. 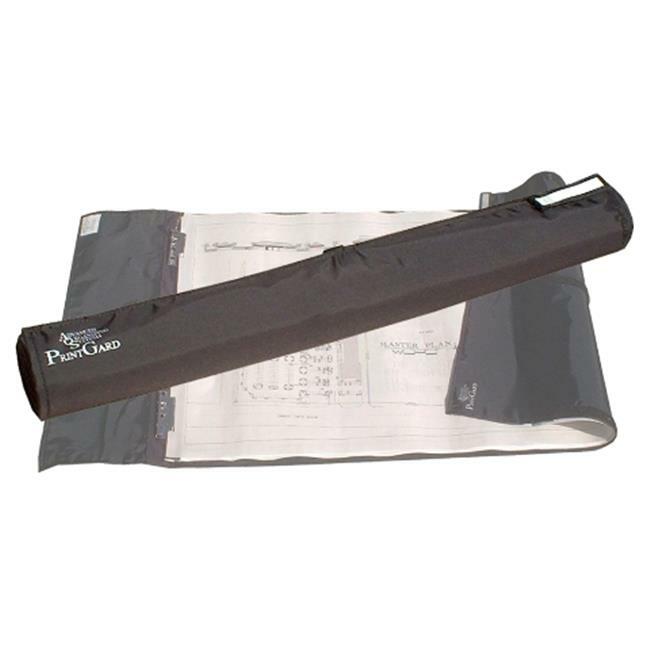 Sturdy black nylon fabric fastens automatically when rolled. Spring clips accommodate a single sheet to 80 sheets for easy viewing and handling. Protects drawings from sunlight and provides moisture resistant barrier. Has outside label for easy identification. 25 W x 2.5 D x 2.5 H in.